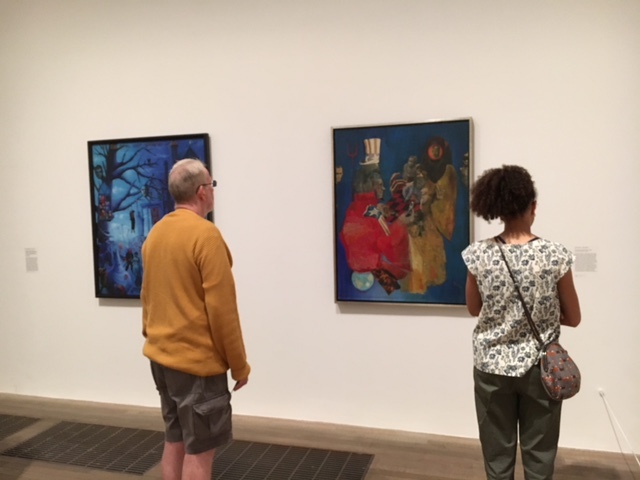 Nigel Freeman, founder and director of our African-American Fine Art department, is in London this week visiting some familiar images. 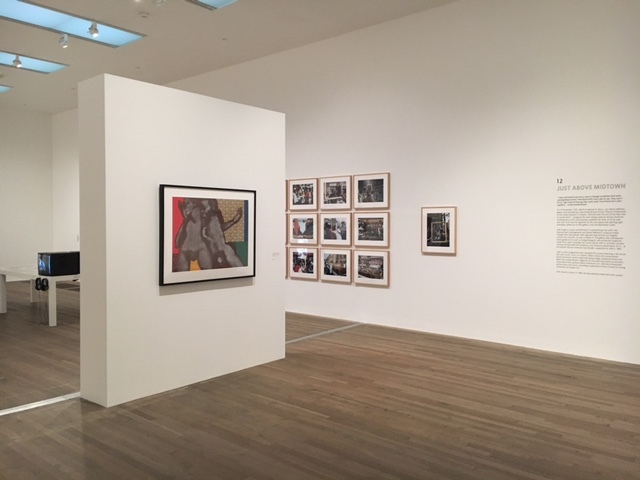 Two of the works in the Tate Modern’s latest exhibition, Soul of a Nation: Art in the Age of Black Power, passed through the halls of Swann Galleries. 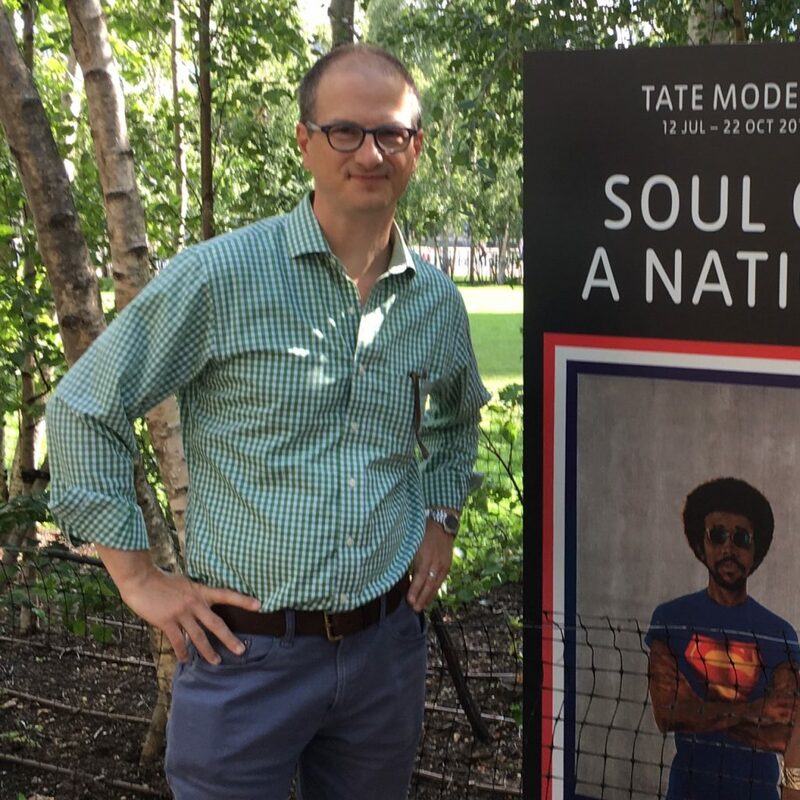 Nigel Freeman at the Tate Modern exhibition, Soul of a Nation: Art in the Age of Black Power. 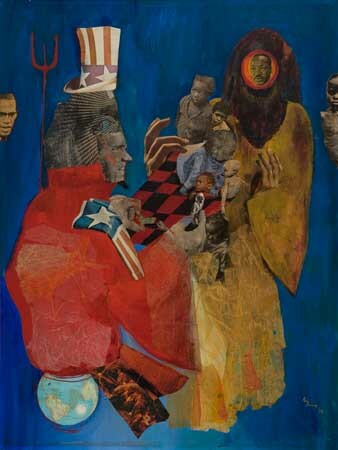 Kay Brown, The Devil and His Game, mixed media collage, 1970. Kay Brown, The Devil and His Game at the Tate. Photo by Nigel Freeman. 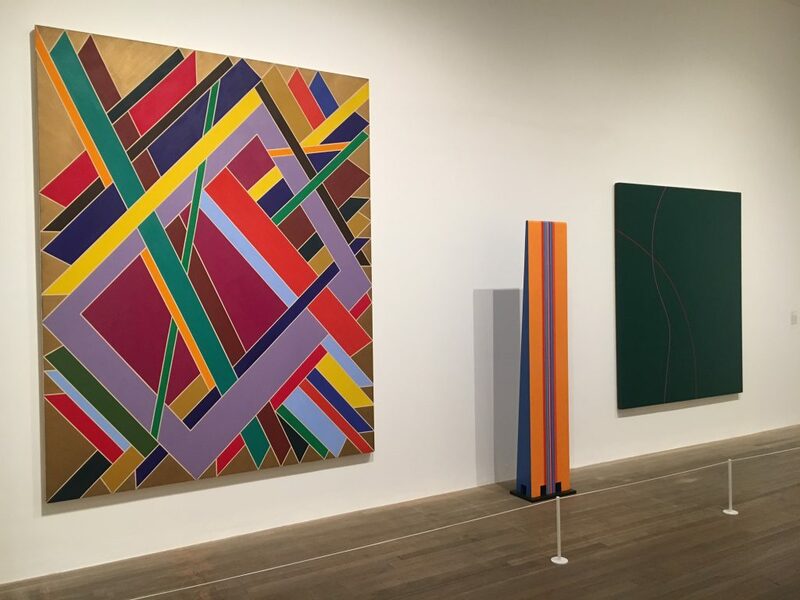 The Tate said of the impetus behind the show, “The call for Black Power initiated powerful and inspiring images of political leaders such as Malcolm X and Angela Davis and even works of radical abstraction invoking Martin Luther King’s legacy. Soul of a Nation showcases this debate between figuration and abstraction, from Faith Ringgold’s American People Series #20: Die, 1967, and Wadsworth Jarrell’s Black Prince, 1971, to Frank Bowling’s Texas Louise, 1971, and Sam Gilliam’s April 4, 1969. A highlight is Homage to Malcolm, 1970, by Jack Whitten,which is on public display for the very first time. Whitten was awarded the National Medal of Arts by Barack Obama in 2015. 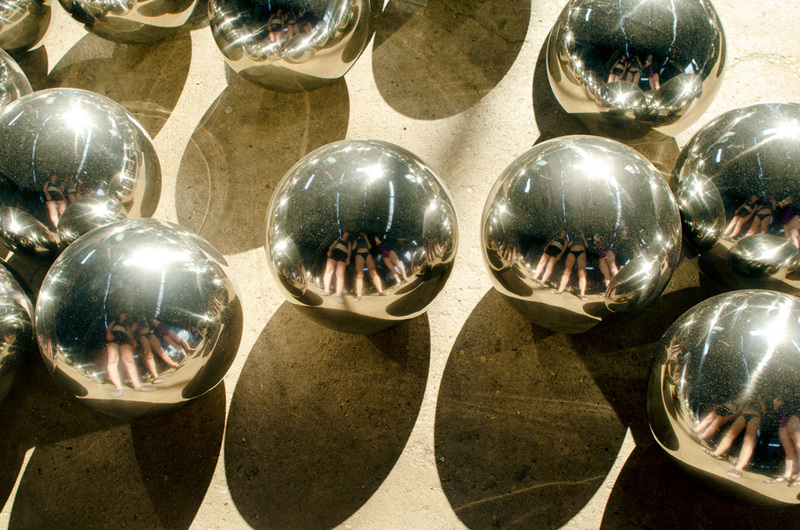 The exhibition showcases the work of a number of artists we’re very familiar with. These include Benny Andrews, Romare Bearden, Elizabeth Catlett, Roy DeCarava, Melvin Edwards, Barkley L. Hendricks, Carolyn Mims Lawrence, Norman Lewis, Betye Saar and William T. Williams. David Hammons, Untitled (Double Body Print Collage), pigment and ink with printed paper collage, 1976. Sold April 6, 2017. 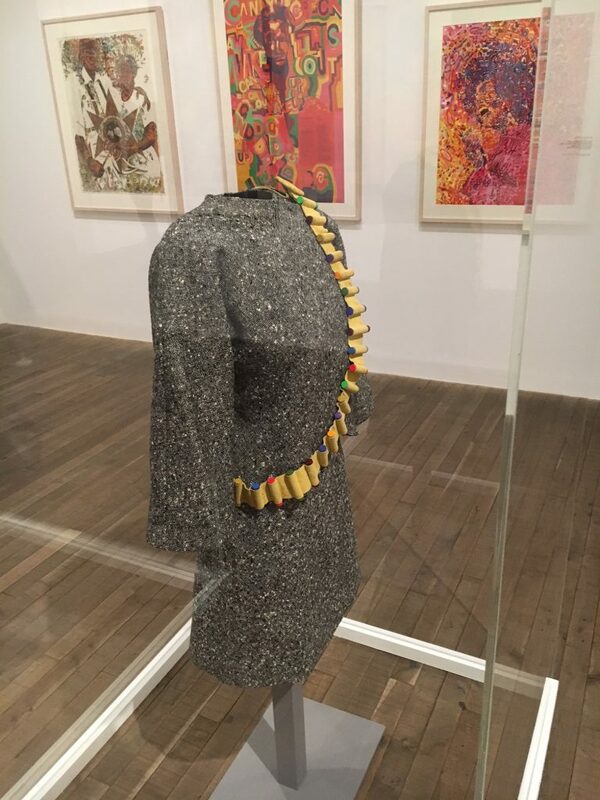 David Hammons, Untitled (Double Body Print Collage) at the Tate. Photo by Nigel Freeman. 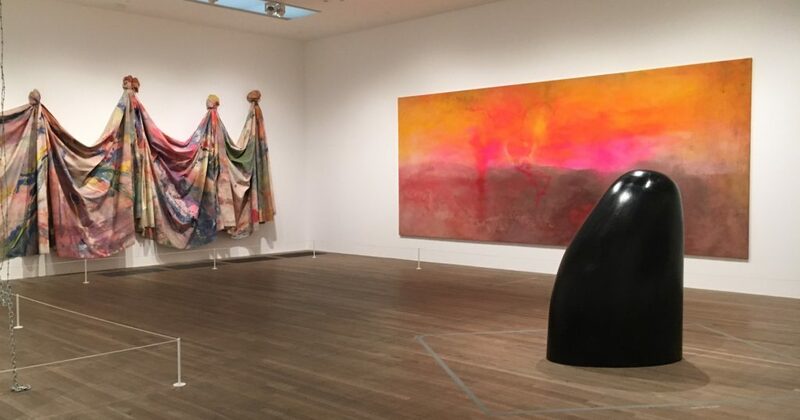 Sam Gilliam, Frank Bowling and Martin Puryear at the Tate. Photo by Nigel Freeman. William T. Williams, Daniel LaRue Johnson and Virginia Jaramillo at the Tate. Photo by Nigel Freeman. 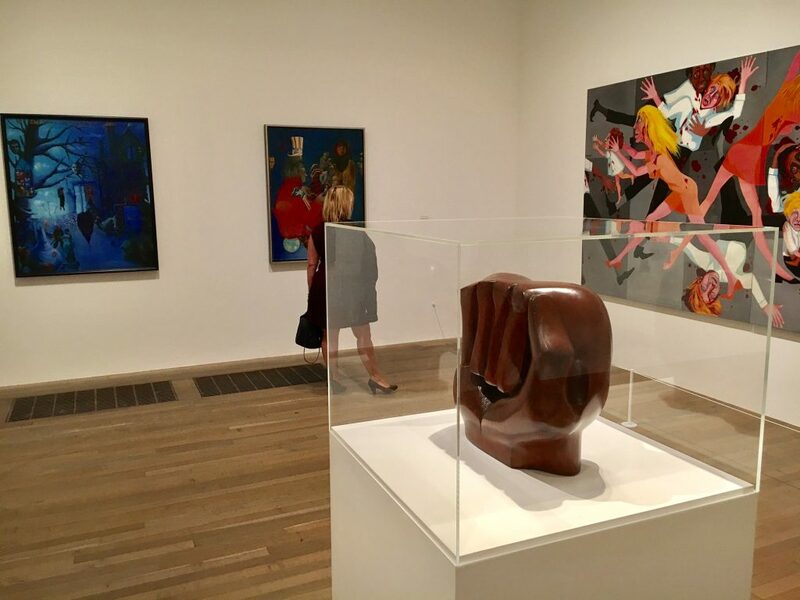 Archibald Motley, Kay Brown, Faith Ringgold and Elizabeth Catlett at the Tate. Photo by Nigel Freeman. Foreground: Jae Jarrell at the Tate. Photo by Nigel Freeman. 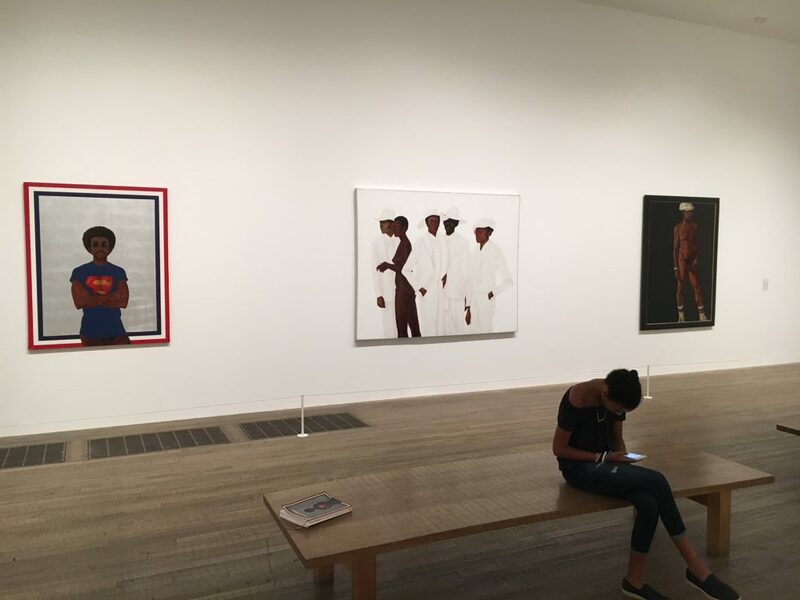 Three works by Barkley L. Hendricks at the Tate. Photo by Nigel Freeman. Soul of a Nation will be open through October 22, 2017. Our next auction of African-American Fine Art will be on October 5.